Published on March 30, 2018 in Winnipesaukee Resort. Closed Tags: Gunstock Lodging, gunstock summer, resort near gunstock. Although Gunstock is most known for being a winter ski destination, they have so much more to offer year-round! Whether you are looking for a leisurely activity or are up for an adventure, there is an activity or event for everyone. 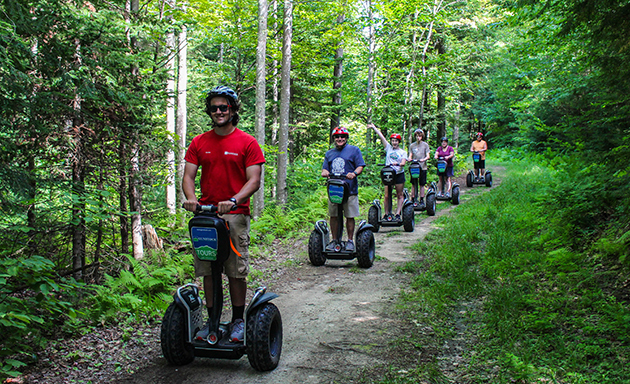 Gunstock provides ZipTour Ziplines, Off-Road Segway Tours, an Aerial Treetop Adventure Rope Course, a Mountain Coaster, Scenic Lift Rides, and more. Purchase either a Premium or a Discover adventure pass and gain unlimited access to specific attractions and activities. 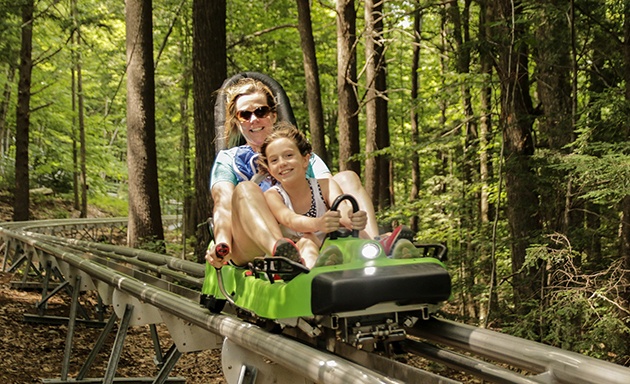 With a Discover or Adventure Pass, you can spend a full day of outdoor fun with the family at Gunstock. Start your day off with a coffee and breakfast from the comfort of your suite at the Summit Resort. Our suites come equipped with a fully stocked kitchen so you have all the tools necessary to spend quality time with the family in the morning before the busy day of adventure ahead. 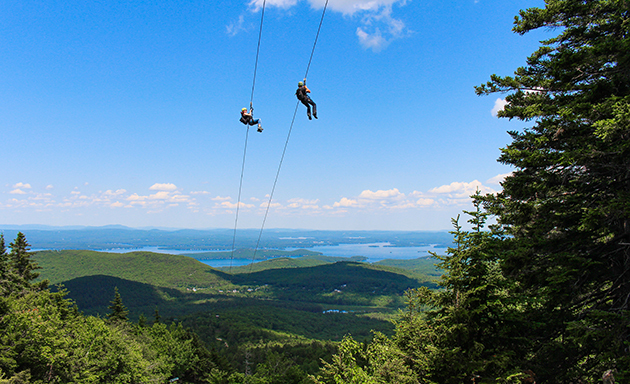 Head out to Gunstock, which is just a 15-minute drive from the resort and start out on the treetop adventure course, once you’re stuck or feeling tired go ahead and move on to enjoy a scenic lift ride to the top of the mountain with beautiful views overlooking Lake Winnipesaukee and the White Mountains. Before heading in for lunch at Panorama Pub or the Powder Keg Restaurant take a ride down the mountain coaster with speeds up to 25 mph. After lunch head back out to the Aerial Treetop Adventure or try out the ZipTour Ziplines. They also have a climbing wall, slackline park, watercraft and so much more to keep you entertained all day long! Throughout the Summer Season they have special events planned out from May through September that currently include; Craft Fairs, a Motorcycle Hill Climb during Laconia Bike Week, Two Roads Brewery Jam Festival, Soul Fest, Mountain Brew & BBQ, Tough Mudder, Belknap County Safety Day, and the WOW Ball. Make sure to check out their event calendar for specific information and dates on upcoming events, if one interests you plan a vacation around it and book your stay at the Summit Resort. We have partnered with Gunstock to offer guests a 25% discount towards a Gunstock Adventure pass of your choice. Our Weirs Beach Summer Family Getaway package offers the best savings for your stay and play vacation that also includes 15% off accommodations and a $75 gift certificate to Patrick’s Pub in Gilford. For more information on all our packages check them out here.